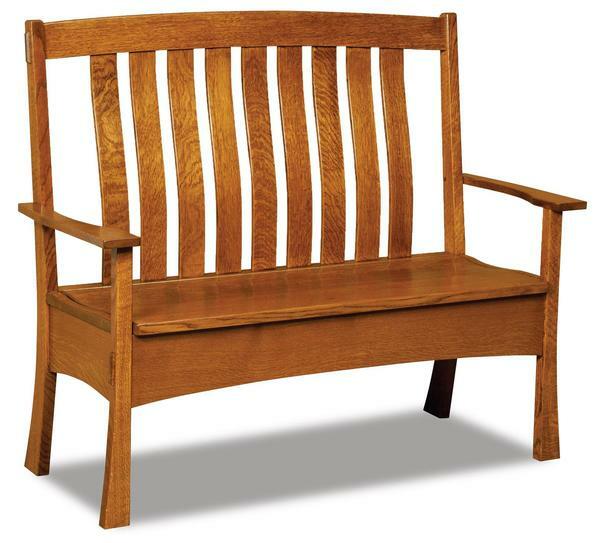 Stretch out in the comfort of superior Amish craftsmanship with our Modesto Mission Bench. This classic piece will enhance the feel of your entryway, dining space, kitchen, and beyond. Wherever you choose to utilize this bench, it will be well-loved for many years to come. Pictured above in 100% quartersawn white oak, order yours in our variety of American-sourced wood that will provide a solid source of reliable seating. Top it off with the finishing package of your choice - view them all below. Customize this piece to your liking and make it perfect for your home. Should you have any questions about our Amish Modesto Mission Bench or any of our products, please feel free to give us a call at 866-272-6773. A friendly member of our team of Amish furniture specialists would be more than happy to assist you.